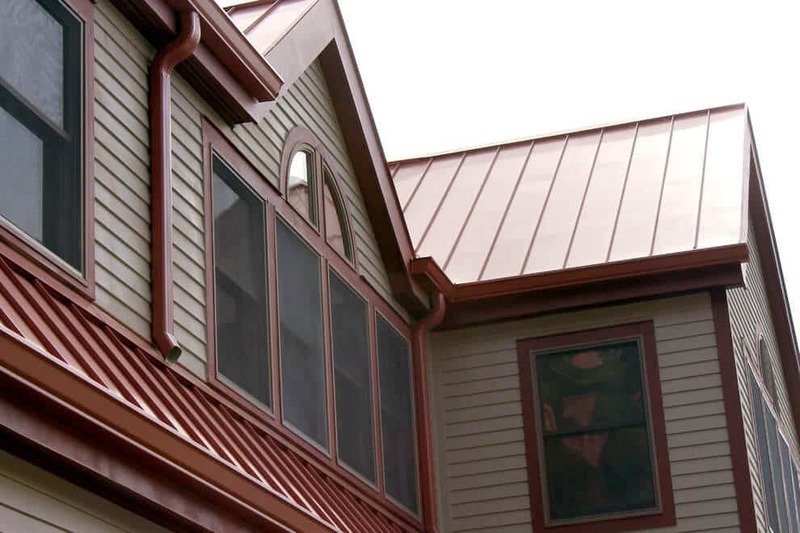 Many homeowners are unaware that aluminum seamless gutters are available in various colors. White aluminum gutters are the standard, but a colored gutter system can add a unique appeal to your home. We carry seamless aluminum gutters in almost twenty different colors! From Grecian Green and Pearl Gray, to Musket Brown and even Blue, we have the right color to fit your home’s decor. Our colored gutters, like our white, have a baked-on finish, which will not oxidize as fast as other traditional gutters, ensuring that your system will not only be functional, but long lasting as well. Our most popular color is Royal Brown because of its neutrality and ability to match most homes’ decor. However, if you’re looking for a more elegant appeal to your home’s aesthetics, there are more elegant color options. 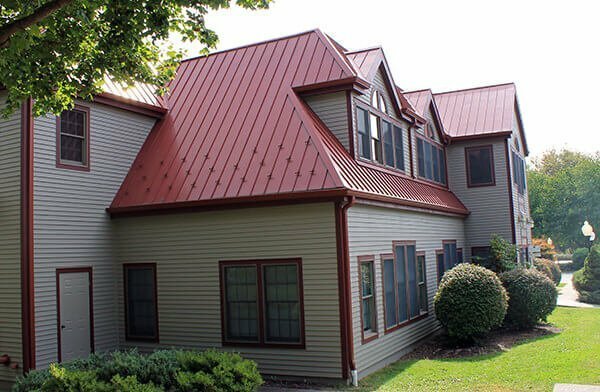 We offer both Copper Penny and Dark Bronze for those looking for the appeal of Copper gutters at a fraction of the cost. Does your house have a different color trim, fascia, siding, or brick and you can’t decide on one color to match them all? Well we have a solution for you; you can mix and match various colors to fit the color balance of your home! If your trim and siding colors compliment each other, you can also match complimentary colors throughout your gutter system. 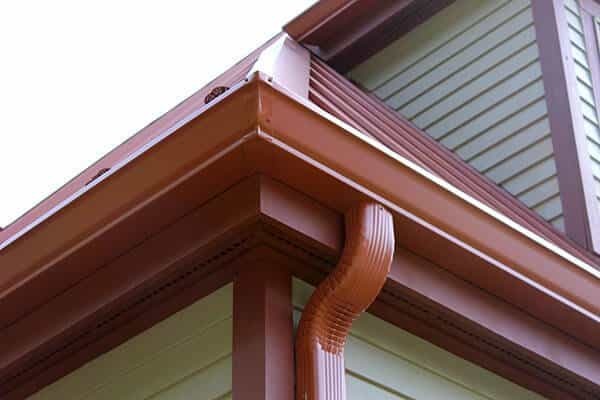 We can install a gutter run and elbows with your trim color connected to downspouts to match the siding or brick color of your home. With the Brothers the color combinations are limited only by your imagination! Click here to view more Copper gutters photos.